America has new television trend of importing arrogant, mean spirited Brits with deceptively friendly English accents to host some of their favourite shows. Simon Cowl (American Idol, X Factor) comes to mind, as does the foul mouthed Gordon Ramsay (Hell’s Kitchen, Kitchen Nightmares) and the hectoring and unlikable Piers Morgan (America’s Got Talent, Piers Morgan Tonight). Apparently you can say whatever you want on television as long as you say it with a appealing foreign accent. 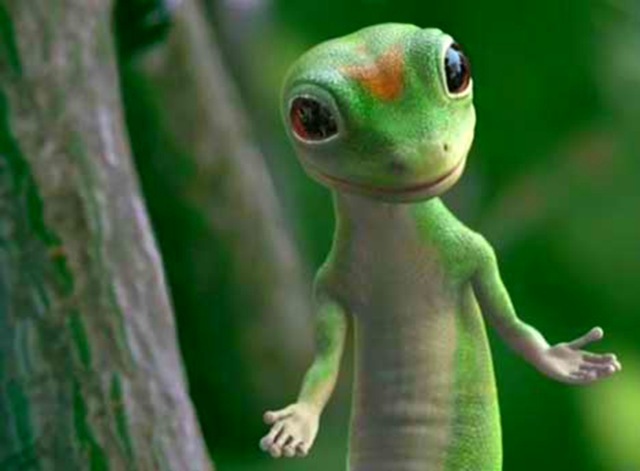 Tell me that the talking gecko doesn’t make you want to switch to Geico? On Christmas day I tuned in to Piers Morgan figuring he would be interviewing a religious figure in honor of the day. I was not disappointed (well actually I was and I’ll tell you why in a moment) as mega-pastor Joel Osteen was his guest. Larry King used to try to get Billy Graham at Christmas. Mr. Graham is now in his 90’s and is not in the best of health (he suffers from hydrocephalus not Parkinson’s) and so he is no longer giving interviews. It is the right choice to make since during his last few appearances, although he did an amazing job for a man of that age, he did struggle not to get confused. Billy Graham has an excuse if he has water on the brain and his answers get a little foggy, Joel Osteen does not. 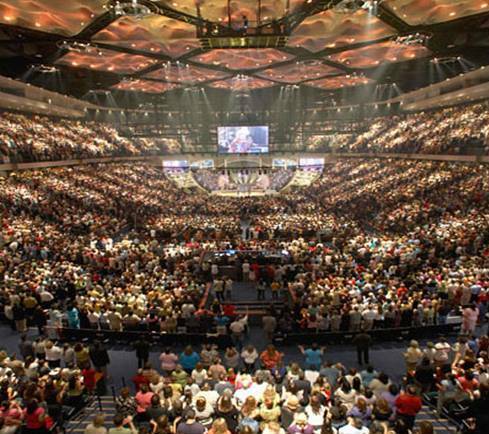 Osteen is the pastor of the Lakewood Church in Houston Texas, the biggest church in North America with 43,000 in attendance on Sunday mornings. He has written (or at least someone has) three books that have sold millions of copies and have made him a multi-millionaire. He lives in a $10.5M gated mansion. He has a weekly television audience of over 10 million people. He will travel to American cities and fill baseball stadiums with 50,000 fans that will pay as much as $100 to hear him speak. Hmmm… maybe I’m working too cheap, our events are free and we get 49,000 or so less people. Piers Morgan must lick his chops every time Osteen agrees to come on the show. Pastor Joel is no match for Morgan’s intellect and Piers completely schools him. Honestly, Osteen does such a poor job it is embarrassing. Being the celebrity pastor he is, he has become the poster boy for the evangelical church in America. He comes on these shows and while he smiles and looks charming he cannot answer the simplest theological question. He hums and haws and says “I don’t know Piers” over and over again claiming there are a lot smarter people than him that could answer the questions better. Well, there is no doubt about that, but if you cannot articulate the Christian position then stay home and let those ‘smarter people’ go on air. While questioning him about Mormon presidential candidate Mitt Romney, Piers asked Joel if he agreed with the Mormon faith. Osteen said there were things he did not agree with but when pressed he could not name one reason why. He claimed he was not studied up on it. Morgan didn’t believe him and accused him of being coy. I genuinely think Osteen did not know. He was completely dumbfounded and had that deer in the headlights look all over his face. On the issue of capital punishment he again said he ‘didn’t know’ and would leave it to the ‘smarter’ politicians to answer that question. Morgan pressing him insisted he must at least have an opinion as a pastor in the number one capital punishment state in the US. He would not say. Have a look for yourself. It is humiliating and distressing to watch. On the topic of gay marriage Osteen managed to admit that he did not believe in it, but when asked he said that he would attend a gay wedding of a friend or family member out of ‘respect’ for that person. One commentator compared that to a christian attending a a friend’s first pole dance out of respect for the relationship. You really cannot have it both ways. 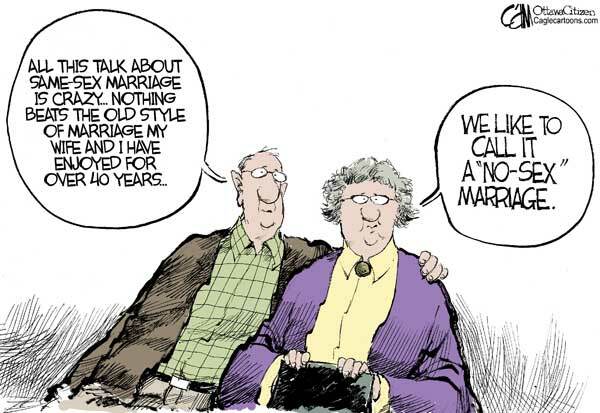 We have got to make moral choices based on our biblical beliefs. For Osteen it was a hypothetical question since I am quite sure he does not have any gay friends like he claims. I have been faced with the real decision as we have a gay marriage in our family. As painful as it was, we declined the invitation with the explanation that it was with regret that we could not attend as doing so would undermine our biblical convictions. We tried hard to express our love and acceptance for the individuals even though we could not support the marriage itself. It was one of the most difficult things we have had to face and it was sticky to say the least. At the end of the day we have managed maintain a good relationship. I completely understand why the masses would flock to a place to hear that they can have the American dream of health, wealth and success. without sacrifice, responsibility or hardship. 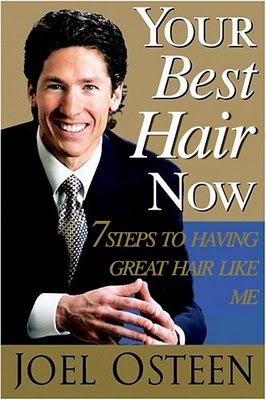 And to be honest I actually don’t even care that Joel Osteen does what he does. I just wish he wouldn’t pretend it is Christianity and that he wouldn’t call himself a Pastor. I would be way happier if he just would tell people he is a motivational speaker like Tony Robbins or Zig Ziglar. Then when he does TV interviews he honestly can say, “I don’t know, I’m just a motivational speaker.” I could live with that. In the meantime he is making a farce out of our faith and I am more than a little distressed about it… I am embarrassed. Maybe I should post an ad on Graigslist; Help wanted! New Poster Boy needed.